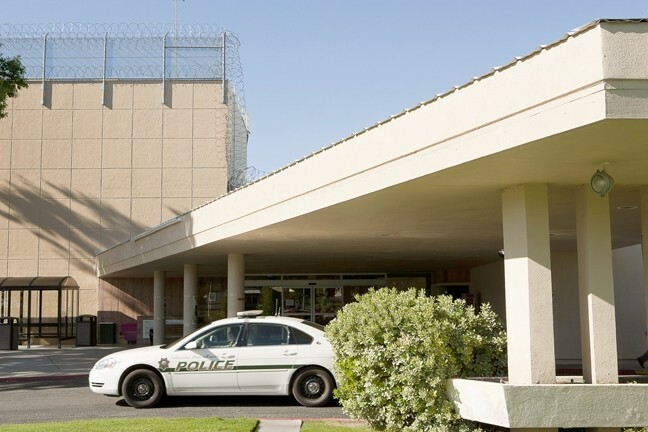 BRING IN THE FUZZ : A new wave of aggressive patients at Atascadero State Hospital has led to significant increases in incidents between patients and staff. Aggressive incidents between patients and staff at Atascadero State Hospital have more than tripled in recent months. Due to a recent court decision, the hospital admitted 165 new patients in the past two months, many of whom are unstable and prone to violent acts. Though hospital officials are blaming the trend on the court order, it requires nothing more than for state hospitals to comply with existing rules. There were 27 “aggressive incidents” between patients and staff from July 8 through the 26, according to hospital officials. Typically, there are about five aggressive incidents per month, but in the last two months the average jumped to 18. Two hospital workers were injured; one reporting a chest injury, the other had a back injury. The hospital has increased its ratio of nursing staff to patients in an effort to better contain the violent behavior. What used to be a ratio of one nurse for every eight patients is now closer to one to six. Hospital officials are blaming the increased aggression—aggressive incidents can range from verbal threats to physical assaults—on new patient admissions after what is referred to as the Mille decision. “There’s a direct relationship in our minds … between the rate of admissions and the rate of aggression,” ASH Executive Director Jon DeMorales said. Named after Freddy Mille, an inmate found incompetent to stand trial in Los Angeles County, the Mille decision reinforces existing state law that requires such patients to be admitted to a state hospital, treated, and assessed within 90 days of being deemed incompetent. Mille, however, waited in the Los Angeles County Jail for 84 days before being transferred to Patton State Hospital. On March 16, 2009, Mille was charged with a felony for attempting to kidnap a child under the age of 14 with an added allegation of a prior burglary conviction, according to court documents. Though he received antipsychotic medication in jail, his treatment fell well short of what he was supposed to have received in a state hospital. “The trial court should have ordered the sheriff to deliver Mille promptly to Patton for evaluation and treatment,” the California Second Appellate District Court found. Al Menaster, a deputy public defender for Los Angeles County, is surprised state hospital officials have reacted to the decision. According to him and the other attorneys who defended Mille, the decision doesn’t actually change the game. But the implications of that decision seem to go beyond business as usual for state hospitals. Before the Mille decision, ASH was admitting about 24 patients per week, but post-Mille the rate jumped to about 34. The hospital admitted 165 patients in the two months following the decision to draw down a statewide waiting list of people found incompetent to stand trial, who are referred to as 1370s. DeMorales told New Times there were 276 patients still on the waiting list, as of press time. The wave of new patients includes many who are much more aggressive than ASH staff are used to handling en masse. Having come from a non-treatment environment like a county jail, the new patients are entering ASH prepared to fight. “These people come to us in a very unstable state,” ASH Public Information Officer Craig Dacus said. But according to Menaster, the increased aggression in such patients could be due to the fact that they’re in the wrong place, namely they’ve been waiting in jail where treatment isn’t the top priority. “They’re mainly there just to keep people from killing each other, but there’s no actual treatment, and that’s what the appellate court found,” he said. In March 2008, more than 20 ASH employees were seriously injured by patients, the highest number recorded between June 2006 through June 2009, according to state data. In the following month there were three such injuries. The hospital could potentially reopen four closed units to handle the Mille patients, but only if it’s able to recruit enough new staff. There were 1,137 patients as of press time and the hospital is licensed to hold 1,275, DeMorales said. For now, the solution put forth by ASH officials appears to be simply to wait things out. Hospital employees will continue to admit and treat the new aggressive population. Eventually though, the hospital will simply run out of room.